Discussion in 'GPS Tracks - Central, Texas & Gulf States' started by Cannonshot, Mar 15, 2011. 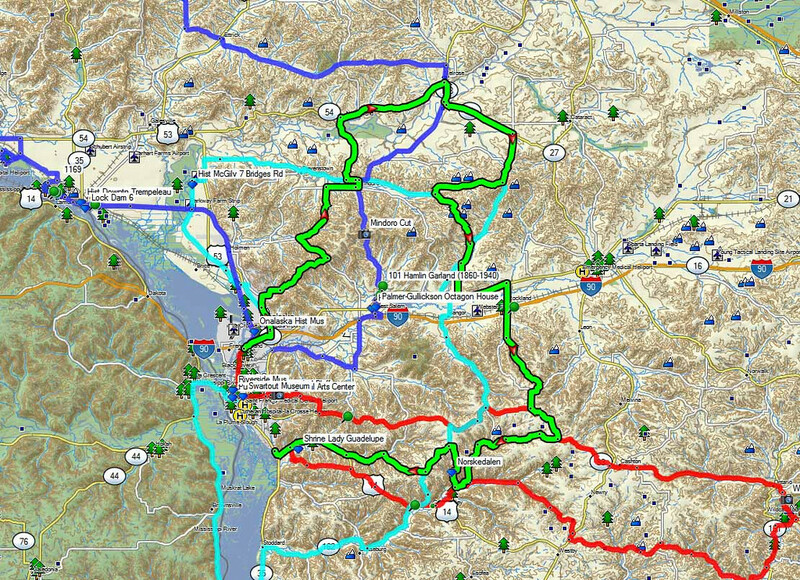 The attached GPX file contains four routes based out of LaCrosse, WI. 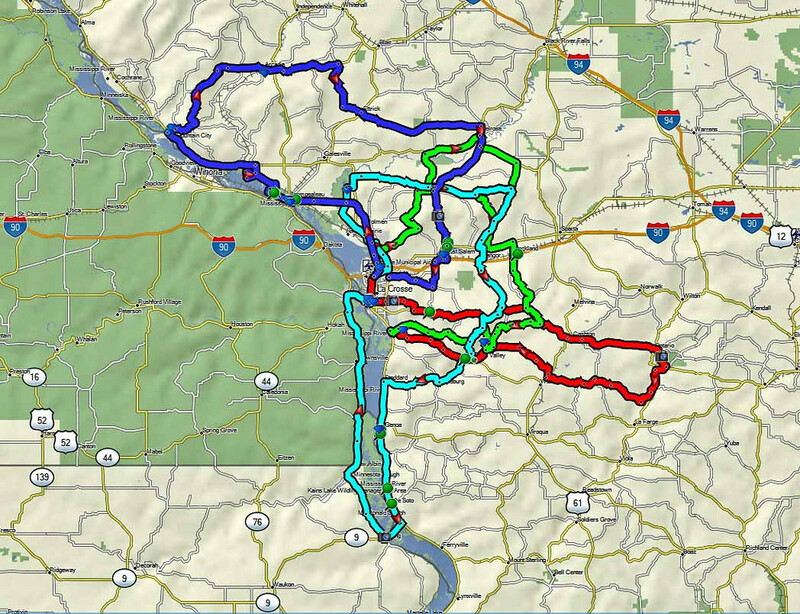 These routes are based on tourism information provided by LaCrosse. The file contains a total of 8 route files for the four routes. One set uses City Navigator 2010 and the other uses City Navigator 7. Choose the route best suited for your software. Points of interest are waypointed in the file. The route to the NW is about 130 miles long and takes in a Lock/Dam, a wildlife refuge (drive through), high ridges, and the Mindoro Cut. 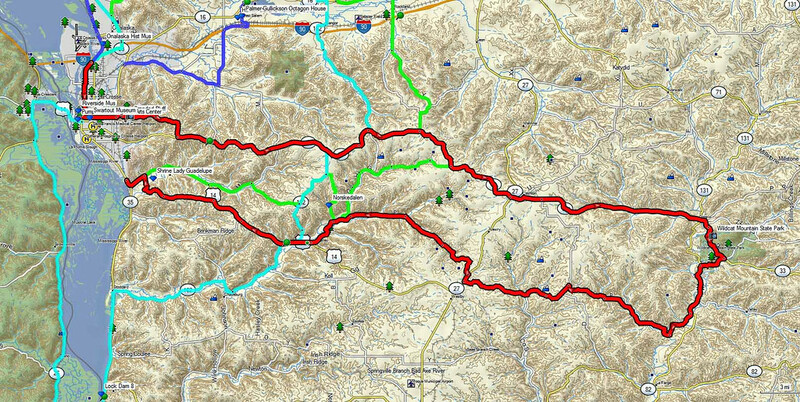 The route to the NE is about 100 miles long and takes in beautiful ridge country. The route that runs north and south covers a Lock/Dam, reactor, a scenic overview at Lansing, and some interesting historical markers. The route to the east takes in some excellent elevation and a section of road near Wildcat Mountain that brings the Dragon to mind. 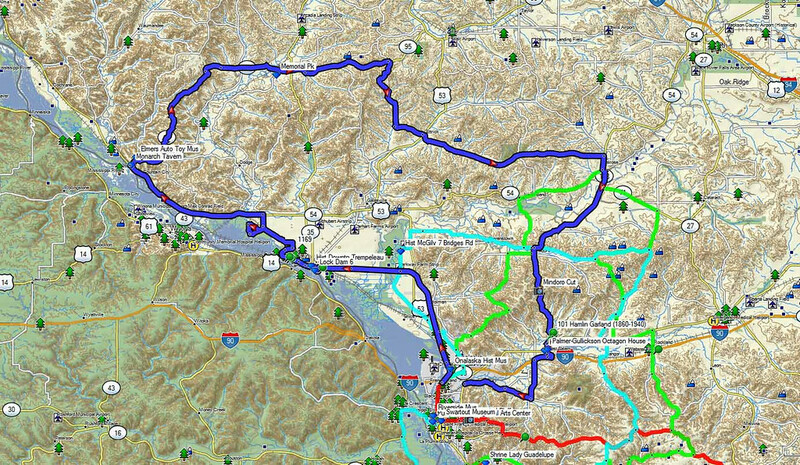 These routes could make for a nice weekend based out of LaCrosse! Routes can be downloaded via this link. DNTOUCH Need more time to ride. Thank you, Thank you, Thank you,.. I put off the Lacrosse area last year because of the ? i had of the area. Just curious,, are there certain routes to stay away from after a rain.? These are all road routes. If there is going to be flooding in areas like the Kickapoo Valley or Arcadia, you'll know about it ahead of time. Hope you have a good time with these. 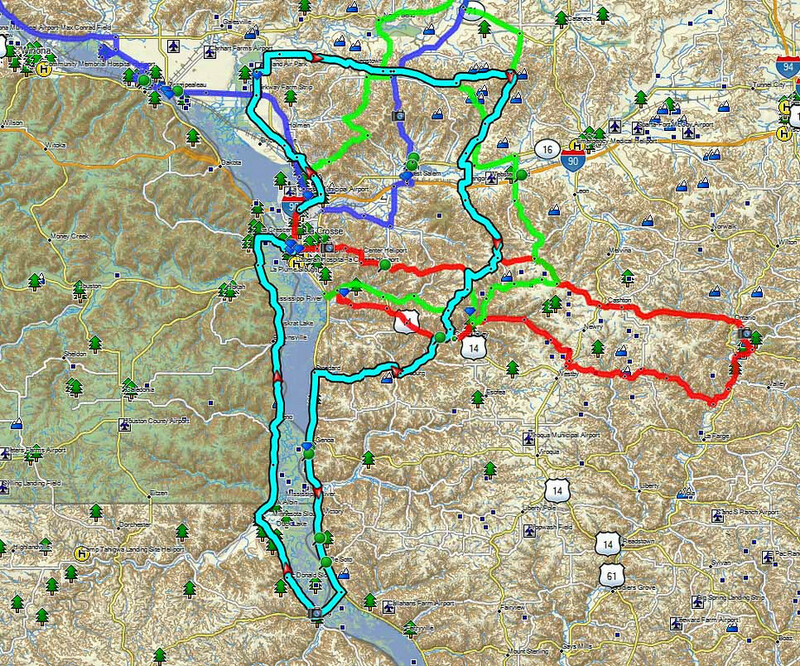 I rode some of these routes last fall during peak color season. Fun times! I can post GPX to ADV again.